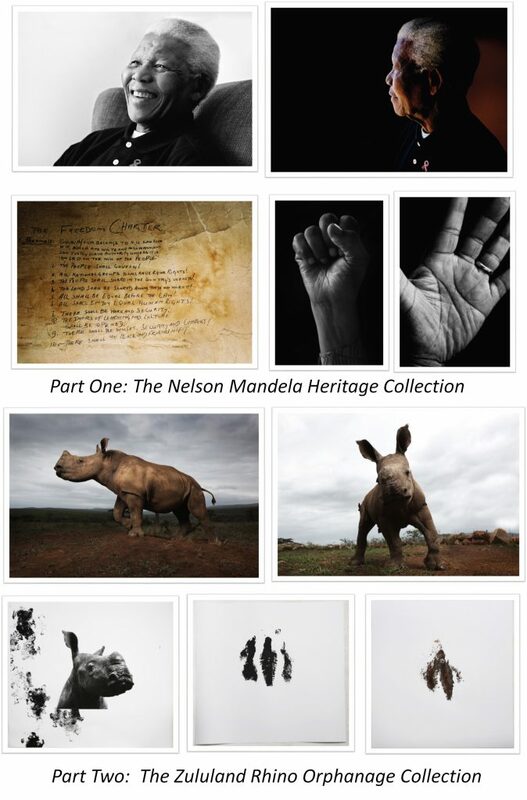 Hong Kong, 26 November 2018 – The international venture capital and angel investment firm, the Global Group, in collaboration with the South African Consulate General in Hong Kong, proudly presents The Heritage Collection, a charity exhibition by documentary photographer Matthew Willman, marking the centenary celebration of South African leader Nelson Mandela, one of the world’s truly great statesmen. The South African government has officially designated the year 2018 as the year to acknowledge and honour the selfless contributions of the two liberation struggle icons, Tata Nelson Mandela and Mama Albertina Sisulu, who played a key role in the attainment of freedom in South Africa. 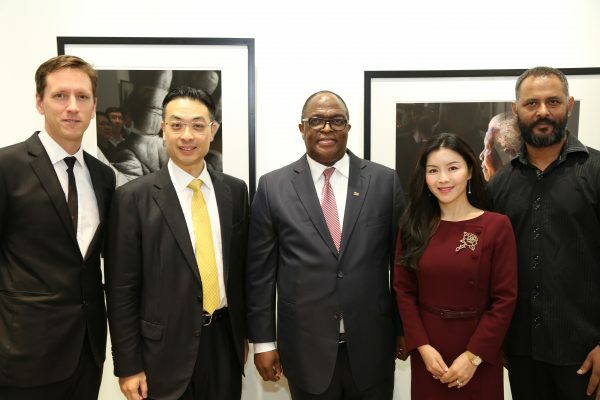 The opening night of the event, held at the renowned Areteos Art Space in Central, saw hosts Mr. Madoda Ntshinga, Consul-General of South Africa (HKSAR/MSAR), Dr. Johnny Hon, Founder and Executive Chairman of the Global Group and Honorary Consul of Grenada in Hong Kong, and Ms. Vicky Xu, Founder and CEO of Areteos Family Office, along with the documentary photographer Matthew Willman, welcome a range of distinguished guests from different walks of life. The Global Group was invited by the South African Consulate General in Hong Kong to collaborate with it on this important and historic event. The collaboration is aimed at promoting people-to-people cooperation as well as the promotion of cultural understanding between the people of the Republic of South Africa and the Hong Kong Special Administrative Region of the People’s Republic of China. 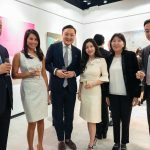 On its part, the Global Group has always been dedicated to fostering a diversified artistic environment in society and cultivating art appreciation through partnerships and collaborations with well-known institutions from all over the world. 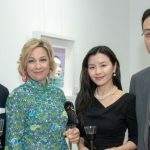 This photographic exhibition is a further testament to the Global Group’s focused efforts to enhance people’s lives and well-being by honouring achievement and supporting the development of promising artists as well as the vibrant growth of the artistic milieu in Hong Kong. As a commissioned photographer to Nelson Mandela for over 10 years, Matthew Willman is today focused on building bridges of opportunity through supporting local communities in South Africa. The exhibition of The Heritage Collection is divided into two parts, namely The Nelson Mandela Heritage Collection and The Zululand Rhino Orphanage Collection. In the first part, Willman presents some of the most iconic and rare portraits of Nelson Mandela alongside historic images from his life. This collection is a unique and precious time capsule of the struggle for freedom and the founding of South Africa’s new democracy. In the second part, Willman has created an exclusive photographic collection to help support magnificent rhinos in South Africa, reflecting his commitment to the conservation of endangered species and to supporting partnerships with their neighbouring communities. This Mandela collection is the finest private portrait collection of its kind in the world. Collectors of this work include President Bill Clinton, Oprah Winfrey, Annie Lennox, and Hermès, among an international roll call. People’s participation will help support a great cause, as a portion of sales will directly benefit the Zululand Conservation Trust, a charity dedicated to the conservation of endangered species in South Africa. 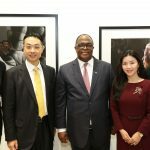 (From Left) Matthew Willman, the documentary photographer, Dr. Johnny Hon, Founder and Executive Chairman of the Global Group and Honorary Consul of Grenada in Hong Kong, Mr. Madoda Ntshinga, Consul-General of South Africa (HKSAR/MSAR), Ms. Vicky Xu, Founder and CEO of Areteos Family Office, and Mr. Leon Naido, Consul of South Africa (HKSAR/MSAR), attended the opening night of The Heritage Collection charity exhibition. 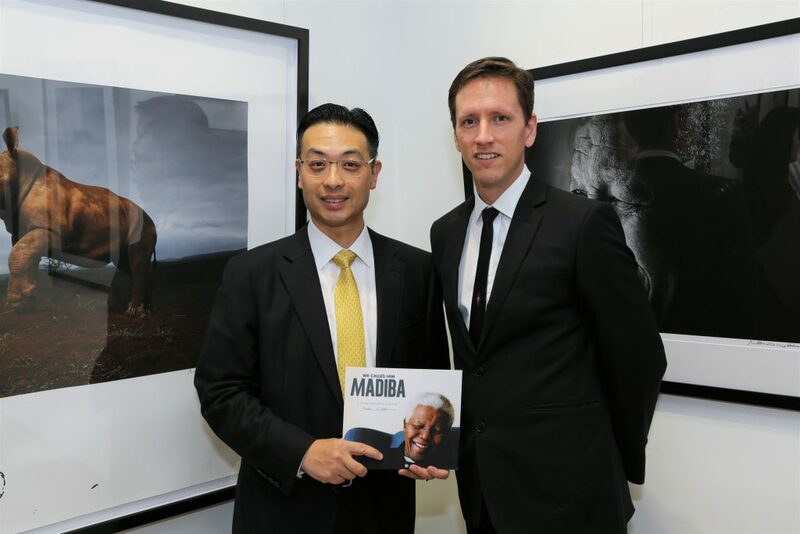 (From Left) Dr. Johnny Hon, Founder and Executive Chairman of the Global Group and Matthew Willman, the documentary photographer, at the opening night of The Heritage Collection charity exhibition. The opening night of The Heritage Collection charity exhibition was held at Areteos Art Space in Central. The Heritage Collection charity exhibition is open for public viewing at Areteos Art Space from 23rd November – 1st December 2018.